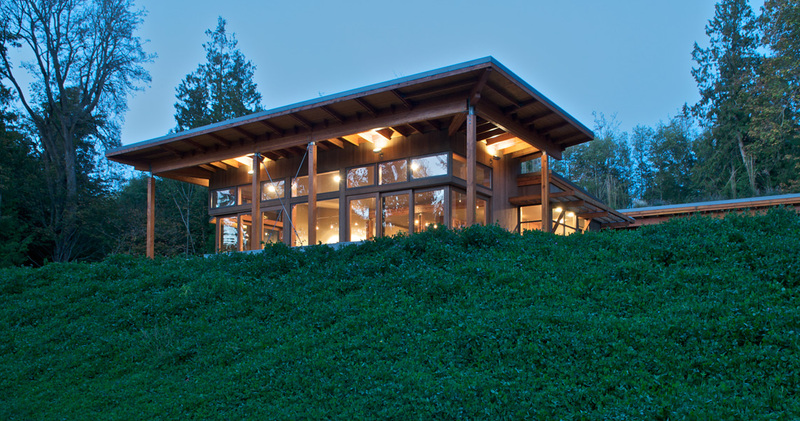 Casa Della Buona Forchetta is located on the western end of a sloping, fourteen-acre site on Guemes Island, Washington. 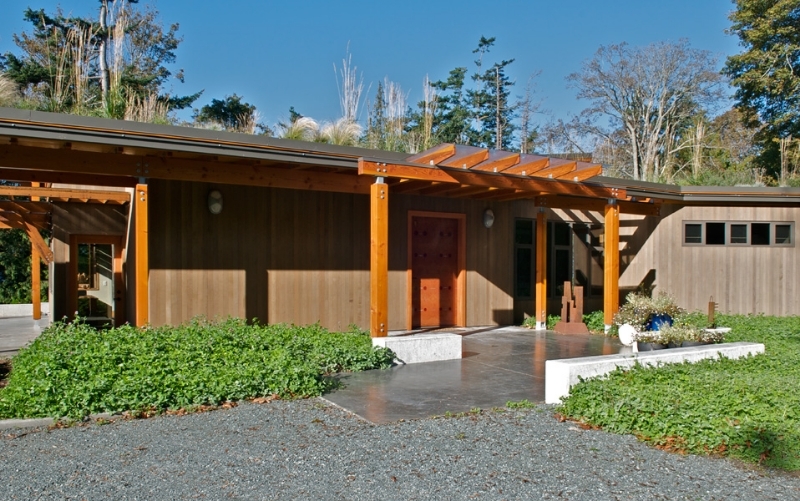 Designed for year-round living, the house is composed in three parts: living pavilion, master bedroom wing and guesthouse. The kitchen, dining, living and study rooms form the living pavilion, while the master bedroom is located in a semi-private wing. 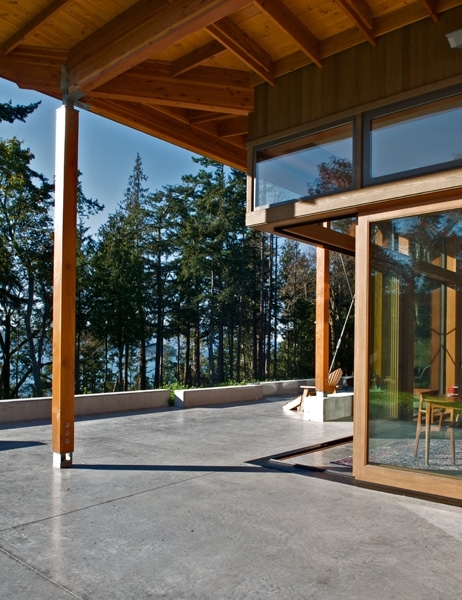 The guesthouse connects to the living pavilion via a covered walkway. 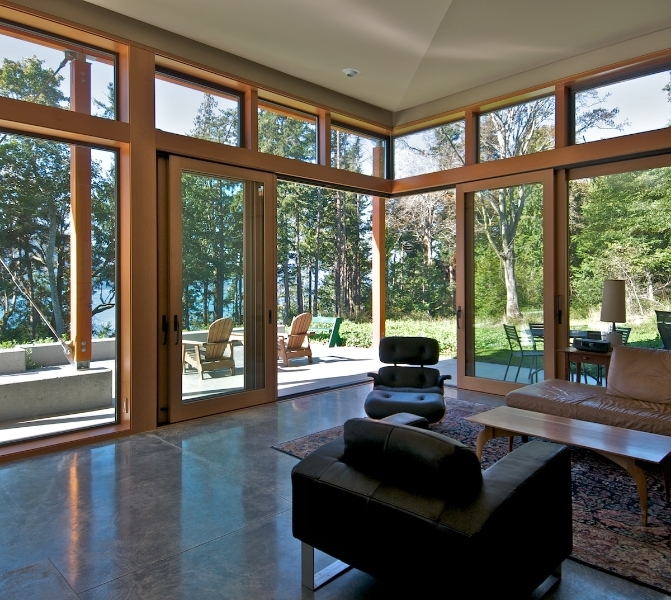 Large, sliding glass doors in the living pavilion open at the corners, bringing the outdoors in. 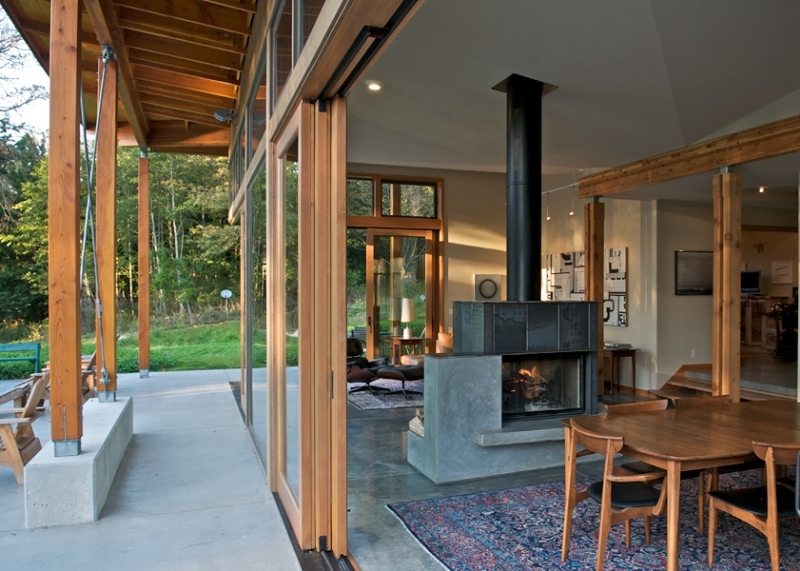 A centrally located concrete and metal fireplace provides enjoyment from the living, dining and kitchen spaces. 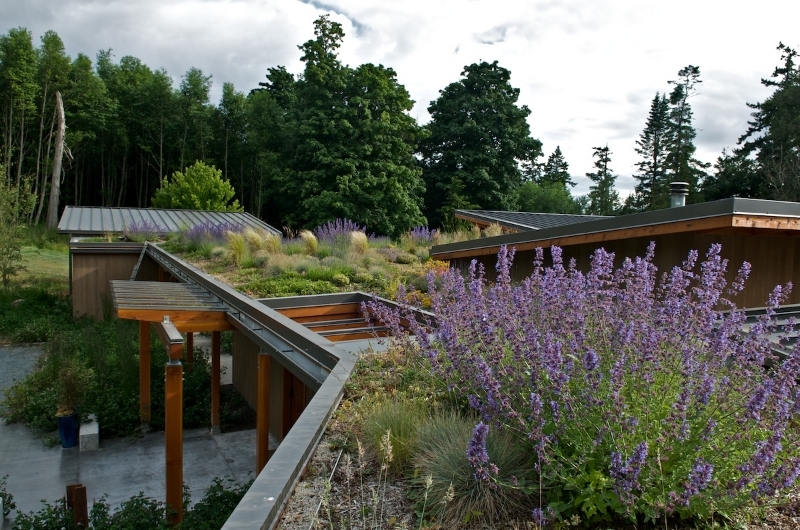 Sustainable features incorporated into the design include a living green roof that slows runoff and provides additional insulation. 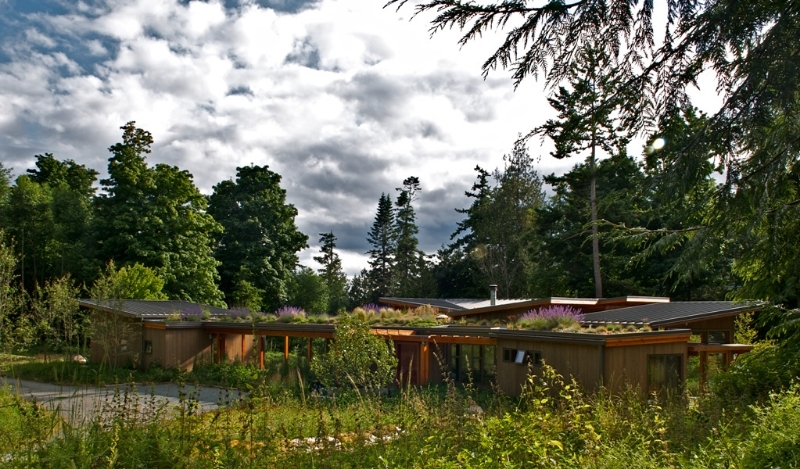 All potable water for the home is collected from the roofs, and the cabinetry and countertops were milled from salvaged maple trees felled on the site. 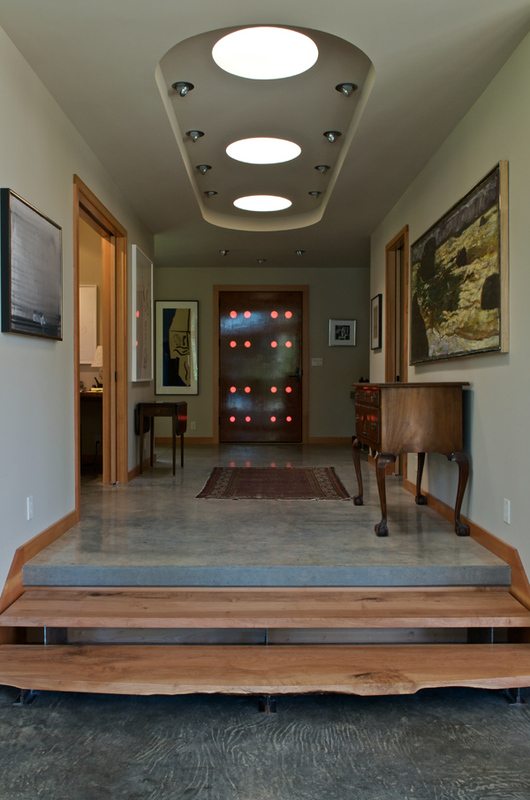 The extended roof plane shades the interior in summer, while allowing the sun in during the fall and winter months. Click the photo above to enlarge it. Unless otherwise noted, all photography by David Hall. © 2019 STUDIOEDISON, David Hall, Architect AIA. All rights reserved.